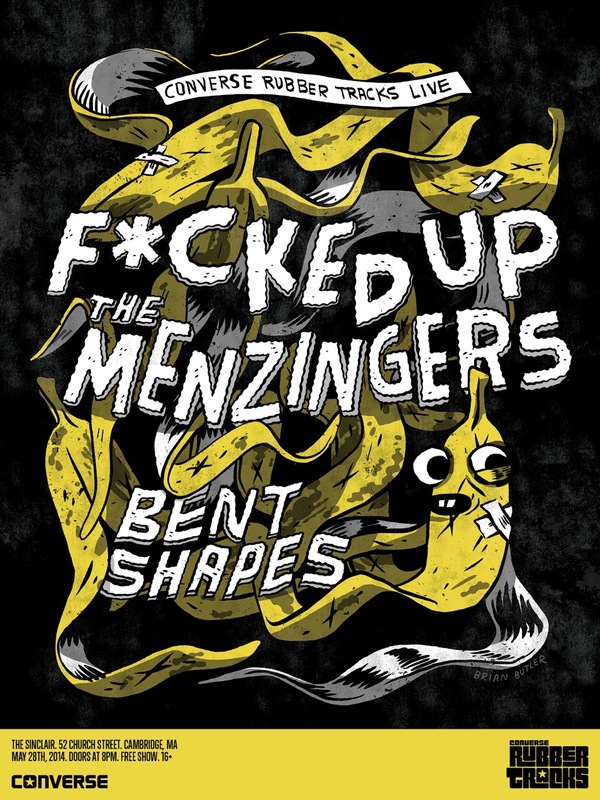 I drew a bunch of banana peels to promote a show with Fucked Up, The Menzingers, and Bent Shapes in Boston. The poster was made on behalf of Converse Rubber Tracks. They were super-rad to work with. It was also super-rad to actually go to the show! 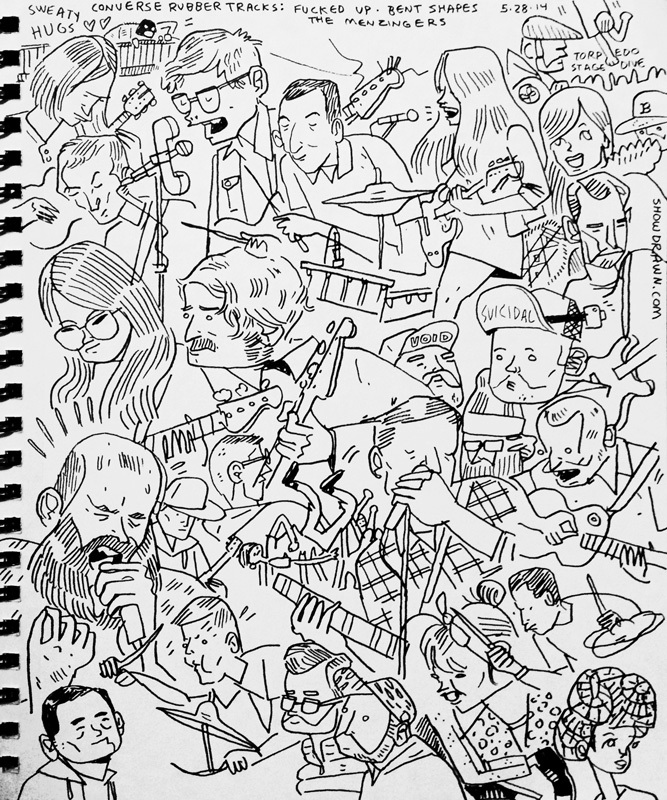 Here’s the Show Drawn drawing from it!